If Paul Greengrass hasn’t thought about crafting a white-knuckle thriller about crusading Nobel Peace laureate Kailash Satyarthi, the opening of Derek Doneen’s documentary “The Price of Free” — a tense raid on a New Delhi factory keeping children as work slaves — should alert social-issue directors and moviegoers everywhere how urgent and dangerous Satyarthi’s mission can be. But also how rewarding and cathartic it is, even if the pained looks on freed children suggest lives that have known mostly need, abuse, servitude and fear. 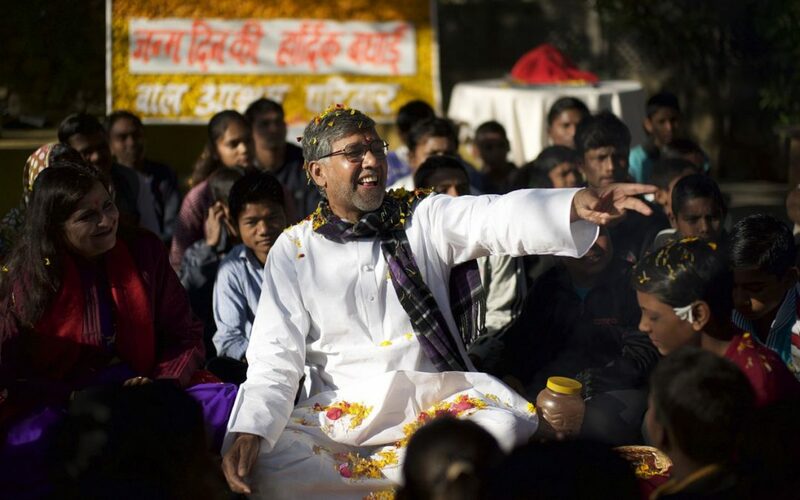 After the successful raid, in the safety of an ashram affiliated with his rescue efforts, the bespectacled, salt-and-pepper-bearded Satyarthi zeroes in on one terrified freed boy, Karim, and gets him to smile. It feels like light overwhelming darkness.